The Force Gurkha is a commendable product off the road, even without any modifications. But while its capabilities are respected among off-roaders, given its BS-III compliant engine, the vehicle cannot be sold in major cities. 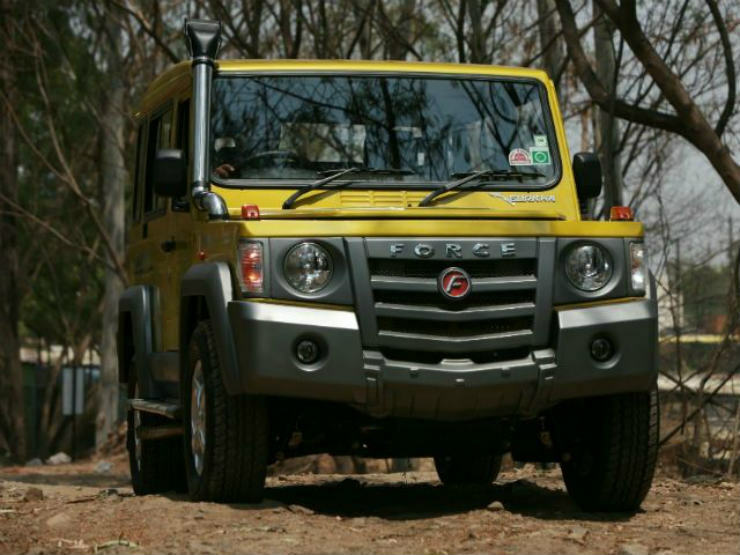 But it appears that Force Motors has a solution to it; the Gurkha will soon be available with the 2.2-liter diesel unit from the Force One. Replacing the current 2.6-liter unit, the 2.2-liter engine makes more power (141 PS vs the current unit’s 82 PS) and more torque (321 Nm vs the current one’s 230 Nm). The current engine is no short of reliability, but lacks grunt especially for on-road duties. As the report mentions, the new engine will be tuned for more torque in the lower rpms, hence making it fit for off-road duties as well. In addition the new engine (new in the Gurkha, we mean) is BS-IV compliant, so Force Motors will not have an issue selling the vehicle in cities that follow stricter emission norms. Drivetrain choices are unlikely to change; the Gurkha is available in both 2WD and 4WD versions. The 4WD version also gets diff locks at both front and rear, which the competition misses out on. Like the current version, expect the updated Gurkha to boast a snorkel as well, while both soft- and hard-top options will be available. Changes will be made to the upholstery and equipment levels, adds the report. Also, just to recapitulate, the RFC-winning Gurkhas came with the same 2.2-liter unit, so that should ideally answer your queries about how good the combination is.